get credit for my course? claim CME credit or obtain my CME certificate? find out how many credits are provided for a course? complete my course evaluation or speaker survey? receive my certificate if the evaluation is no longer available online? cancel my registration to a course? register for a course that isn't currently open for registration? 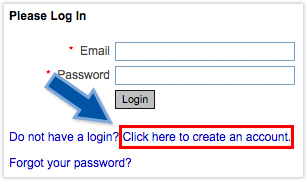 create an account or login? update my profile (i.e. edit my address, name or other pertinent information on my account)? obtain a duplicate certificate or transcript? find more information about a LIVE conference? find more information about an ONLINE course? Complete the online evaluation associated with the conference you attend. In the survey, enter your full name and credentials and the number of credit hours you are claiming, as you’d like them to appear on your certificate. Your certificate will be available to print upon submission of the survey and/or you can email a copy to yourself. The number of credits is posted on our calendar next to the course title as soon as each course is approved by the UCSF Governing Board for certification. If the number of credits is blank, a maximum award has not yet been determined. Please check back later. Please check the More Info page for the course you are attending. We list Specialty Credits for each course as information becomes available. Program schedules/outlines indicate lectures that are eligible for Specialty Credits. For Pain Management Credit, Look for the "P" next to a lecture title. For Geriatric Credit, look for the "G" next to a lecture title. Credits are awarded on an hour-for-hour basis. You may be required to provide your credit card number. If you are providing this number, please do so through our secure fax number above. Please do not email us your account number as it may not be secure. Each course has a cancellation deadline. Please check the Cancellation Policy located on the course's More Info page for the last day to cancel. If your course of interest is not open for registration yet, please try again in two weeks' time. You may also download, print, and complete a registration form (.doc). Please make sure your credit card number is included. Fax your form to (415) 502-1795, and we’ll register you when course registration information becomes available. If you have participated in a UCSF CME course in the past, you are already in our system. 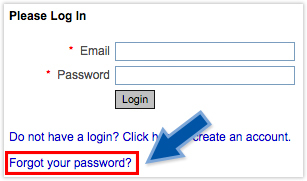 The Forgot Your Password link will assist you in resetting your login information. You may update your address, phone number, degree, or other pertinent information by accessing your online profile. Click Add New to enter in a new address. To access your current transcript, login to your account here: https://goetrak.gomembers.com/t-ucsfsm/etrakwebapp/Login.aspx. Please use your email address to login. Click on the “My Profile” link located at the top left corner of the webpage.